Our good friends from Isaac Agnew Van Centre (Mallusk) sent us this photo on twitter last night. For those of you who donâ€™t know the car, this was the original Kaizen Print vehicle. I drove it for nearly three years and it served us well before we moved to the New Caddy Van. 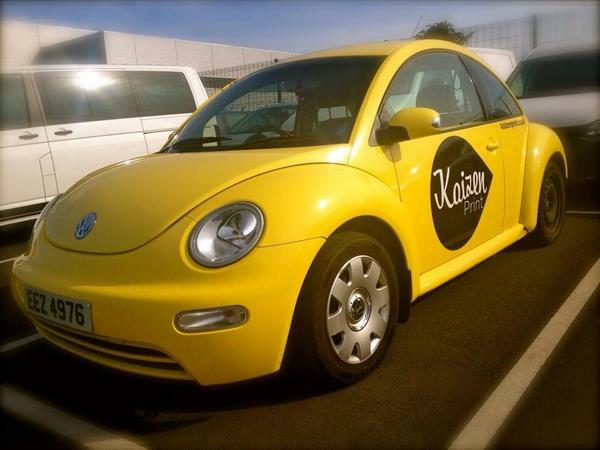 While we havenâ€™t looked back, we do miss the bright yellow Kaizen Beetle. It took us from Belfast to Banbridge, Coleraine toâ€¦Co.Tyrone. Literally all across Northern Ireland and brought our brand to a much wider audience. Youâ€™d also be surprised how many boxes of flyers a beetle can take. 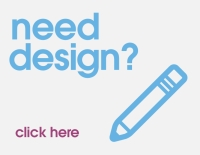 Vehicle graphics are one of the most effective branding opportunities your business can have. Think about every mile you drive, how many cars and people you pass. These are your potential customers. Why would you not take this opportunity to get your business and products to them on one more occasion? If youâ€™re in the market for a van or business vehicle, we highly recommend the guys at VW Mallusk. Theyâ€™ll walk you through their range of vehicles and help you buy the right one for your needs now and in the next few years. Tell them we sent you and you get the very extra special red carpet treatment.